The operator of the waterfront casino resort complex Macau Fisherman’s Wharf is looking to introduce more non-gaming elements this year, in a bid to attract more leisure visitors. So said Melinda Chan Mei Yi (pictured), president of Macau Fisherman’s Wharf International Investment Ltd, the operator of the complex. The property, located near the Outer Harbour Ferry Terminal on the Macau peninsula, was first launched in 2005. Hong Kong-listed Macau Legend Development Ltd is the main investor and promoter of Macau Fisherman’s Wharf. Ms Chan is the wife of David Chow Kam Fai, co-chairman and chief executive of Macau Legend Development and a former Macau legislator. A virtual reality experience centre and a “Celebrity Wax Figures Museum” are two new additions that will be launched at Macau Fisherman’s Wharf in the second half of this year, Ms Chan told reporters on the sidelines of a company gathering on Thursday. “We’re working with a Japanese brand for this VR [virtual reality] project, but for now we cannot disclose its name. It is planned that in April there will be an agreement signing ceremony and by then the [partner’s] name will be made known,” Ms Chan said. The virtual reality centre will be located at the meetings and conference centre in the waterfront property, she noted. The wax figures museum will be housed in one of the buildings at the Legend Boulevard inside Macau Fisherman’s Wharf, said Ms Chan. “We hope that these new features will be in place within the second half of this year. Meanwhile, our meetings and conference centre will also undergo a revamp, which is expected to be completed in 2020,” Ms Chan stated. The executive refused to disclose the aggregate investment in the new non-gaming amenities at Macau Fisherman’s Wharf. Ms Chan said additionally that the group would be interested in bidding for a Macau gaming licence, in the event of a new public tender process. “We would do our best to be granted a licence,” she told reporters. Currently, the casinos run by Macau Legend Development operate under the casino licence of Macau gaming operator SJM Holdings Ltd. The Macau Fisherman’s Wharf operator is also looking to introduce a branch of a three-star Michelin restaurant from Hong Kong – “Bo Innovation” – at Legend Palace. The restaurant is expected to open in the second half of 2019, Ms Chan said. The company has been introducing new food and beverage brands to the waterfront property since last year. Legend Palace – a casino hotel that was launched in February 2017 – will also house new shops this year, Ms Chan said, declining to name the retail partners. “Basically the shops will match mass-market demand, and [will be] to the liking of tourists,” she noted. Early on in its development, Macau Fisherman’s Wharf opened a hotel without a casino – the Rocks Hotel – and a gaming facility without hotel – Babylon Casino. Since then, the open-air site has undergone extensive remodelling, including an all-weather canopy for part of its main avenue. Macau Legend has so far completed two out of three new hotels planned for a revamp of the site: the Harbourview Hotel, which opened in February 2015 and does not have a casino, and the casino hotel Legend Palace. Construction of a third hotel project under the revamp plan, known as “Legendale Hotel”, is stalled as the company is yet to submit an updated construction plan to the government’s public works department, Ms Chan told reporters on Thursday. “Because of the height issues, we need to redraw the plan [for Legendale Hotel] before submitting it to the government. The planned height is now 60 metres [197 feet],” Ms Chan said. The executive declined to say how many rooms would be offered by Legendale Hotel following the redesign of the hotel. She was also non-committal regarding the possibility of the hotel including a gaming venue. “From submitting the construction plan to the hotel’s completion, I think that will take at least three to five years before we see the final outcome,” Ms Chan stated. The three hotels at Macau Fisherman’s Wharf currently offers more than 700 rooms: the 72-room Hotel Rocks, the 444-room Harbourview Hotel and the 224-room Legend Palace. 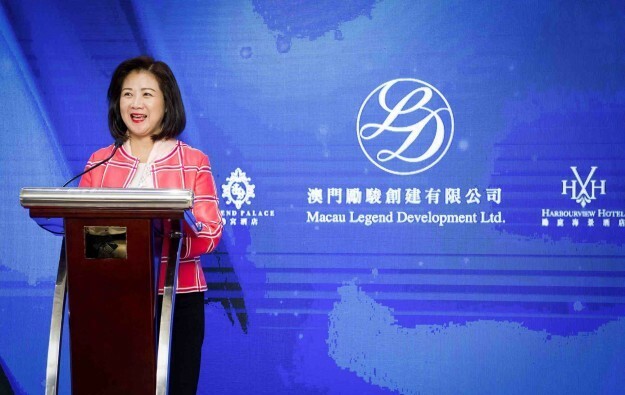 Occupancy rate for the hotels at Macau Fisherman’s Wharf stood at over 90 percent during the recent week-long Chinese New Year period, Ms Chan said.